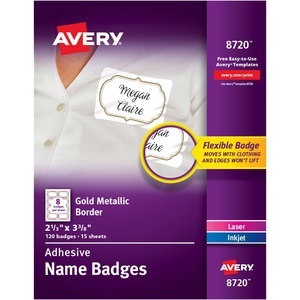 The flexible name tag with gold metallic border moves with clothing without the edges curling up or the badge falling off. Unique peel-away design allows badges to separate easily from the printed sheet while the individual badge backing remains intact until ready to use. Removable adhesive is safe for most fabrics (not recommended for use on corduroy, plastic, leather, silk, suede, velvet, vinyl or other delicate fabrics). 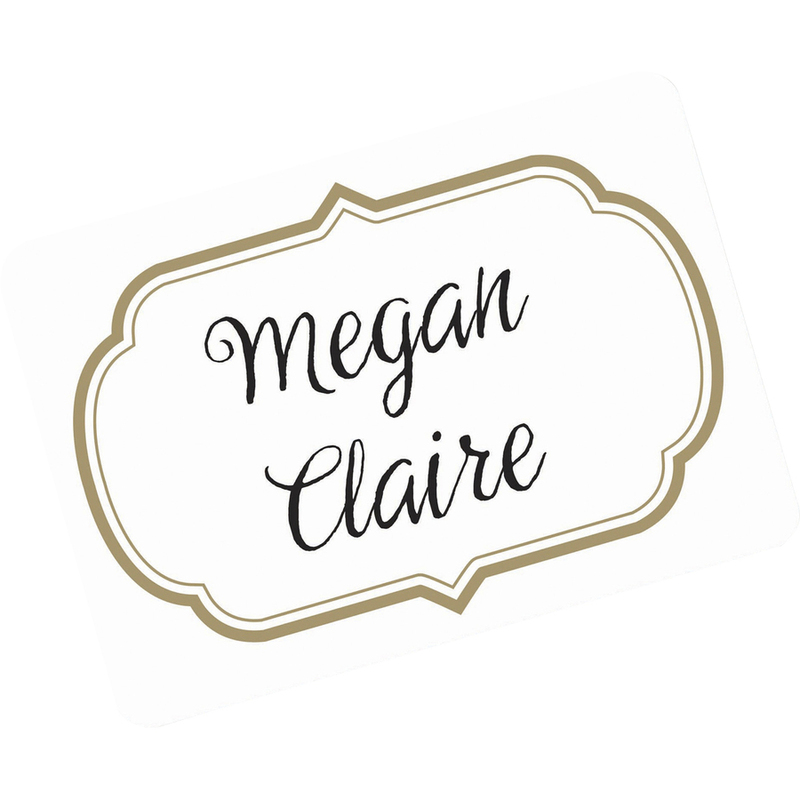 Name tag is easy to customize with free online templates and designs using Avery Design & Print. Handwrite or print on the letter-size sheets that are compatible with both laser and inkjet printers. Each sheet includes eight name tags.